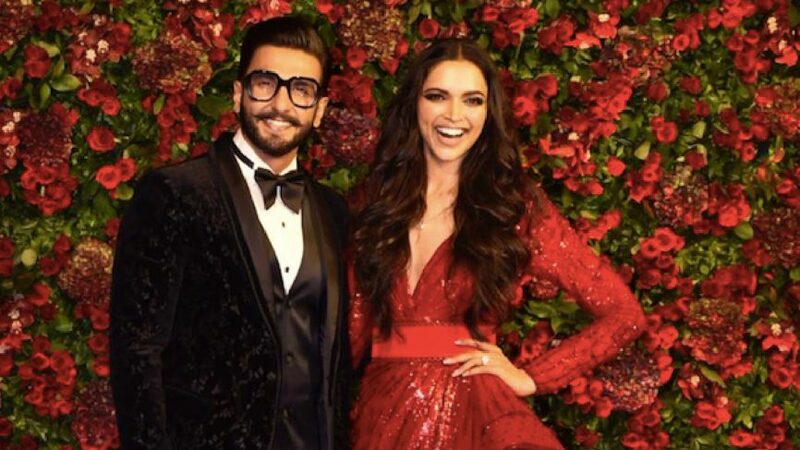 Deepika Padukone and Ranveer Singh’s wedding celebrations are finally coming to a close—but not without a bang. The biggest party of all is taking place tonight at Grand Hyatt, Mumbai, in the form of a big Bollywood blowout. 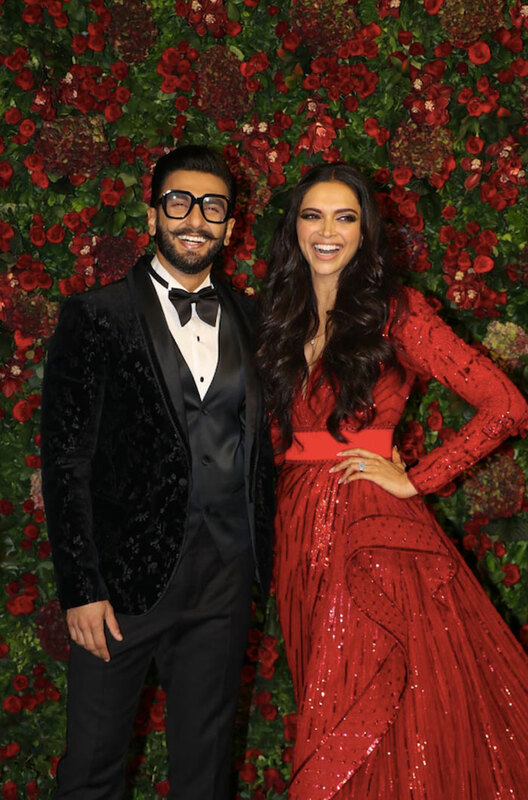 Dressed to greet members of the film fraternity, Padukone wore a stunning red gown by Lebanese couturier Zuhair Murad for the evening. Groom Ranveer Singh, whose sartorial choices make for excellent talking points, complemented the bride in a dapper tuxedo by Rohit Gandhi Rahul Khanna. Padukone has chosen Murad’s designs for special occasions before—at the 2014 IIFA Awards and at the Cannes red carpet earlier this year. It’s evident that she is a fan of his demure meets glamorous aesthetic. This evening though, Padukone’s choice veered towards daring. The high-low hemline and trail of the fiery red gown elevated the drama of the look. 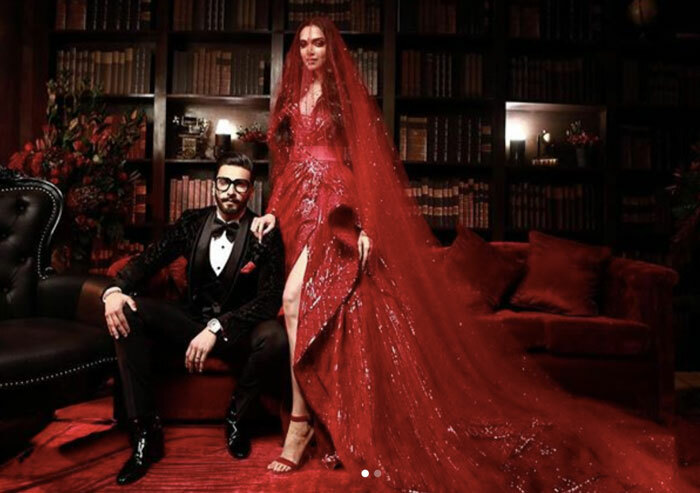 For their portraits before the party started, Padukone wore a matching red veil—clearly a favourite accessory of the bride. Thus far, the couple have had two picturesque wedding ceremonies, a reception ceremony in Bengaluru, a private party with their friends and another reception in Mumbai. Given their professions, hosting an event for the fraternity was a must. Padukone and Singh have saved the best for the very end and one can only imagine the videos that will surface on social media come morning. You can expect every Bollywood personality to be there, with one notable exception—Priyanka Chopra, who just wrapped up her own wedding with Nick Jonas earlier in the day. Take a closer look at Deepika Padukone and Ranveer Singh at their Mumbai reception.